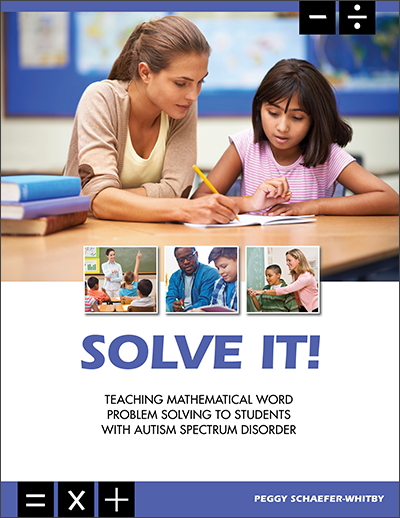 The purpose of this guide is to provide teachers with what they need to teach students with Autism Spectrum Disorder (ASD) how to solve math word problems using the Solve It! ap­proach. Information in the guide builds on the basic Solve It! instructional approach by focusing on the unique challenges faced by students with ASD when learning how to solve mathemati­cal word problems. Dr. Schaefer Whitby—who studied with Dr. Montague, the original developer of Solve It!—has designed and field-tested instructional accommodations and techniques that support students with ASD in successfully accessing the evidence-based Solve It! approach. Moreover, the instructional accommodations can be integrated seamlessly into inclusive classrooms. Understand the unique learning characteristics that may affect mathematical word problem solving for students with ASD. Understand the research that sup­ports the use of Solve It! across dis­ability categories and with students without disabilities. Implement the Solve It! approach with students with ASD, including modifying instruction as needed. Assess the effectiveness of Solve It! on mathematical word problem solv­ing for students with ASD. Chapter 1 presents an overview of Solve It! Chapter 2 describes the Solve It! instructional components. Chapter 3 provides an overview of students with ASD in relation to mathematics and academic achievement. Chapter 4 presents the Solve It! strategies to support students with ASD. Chapter 5 introduces the Solve It! Scripted Lessons, including instruc­tional materials. Chapter 6 presents assessment tools. Chapter 7 introduces the role of Booster Lessons. Chapter 8 presents strategies for generalization and maintenance of the Solve It! The final chapter contains references. Video of the author, Dr. Schaefer Whitby, teaching Solve It! to a group of students, including stu­dents with ASD. Annotated bibliography of select­ed Solve It! Excel application for tracking student progress. In addition, case studies, featuring three students with ASD—Nick, Claire, and Nate—are included in the guide. Throughout the guide we drop in on, and highlight the work samples of, these three students. 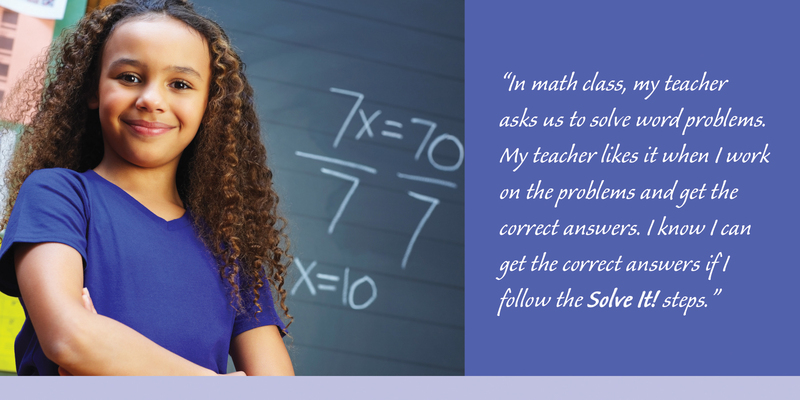 The case studies are intended to pro­mote an understanding of the unique challenges students with ASD may encounter when learning to solve math word problems. Solve It! processes align with the Common Core State Standards (CCSS) (Click to see alignment). Solve It! also aligns with standards in states that have not adopted CCSS (Alaska, Indiana, Minnesota, Nebraska, Oklahoma, Texas , Virginia). Click on the individual state to review alignment.